Steam Highwayman is a Crowdfunded Adventure Gamebook project I’ve been writing for the last 6 months. The 1000 passages of choose-you-own-adventure style choice-based narrative are complete and I’m currently in the process of editing, proof-reading and playtesting. …but I’m willing to be flexible with most of this. I’ve created a Reference Portfolio to illustrate the sort of artwork I am looking for: please take a look. I want to find someone to produce me the first pieces asap and I’m ready to pay for the right stuff: these will allow me to start pre-marketing and building a fanbase for the project. The plan is then to use funds from a successful Kickstarter campaign to pay for the remaining artwork, which could be anywhere from 4 pages and 10 small pieces upwards. I’m budgeting around £1300 for the art at this stage. I currently have a brief for the cover art and I’m in the process of writing one for the interior art. 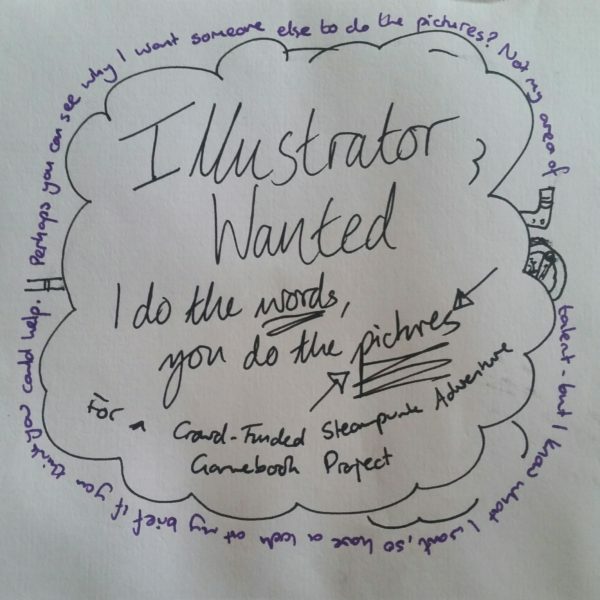 Please share this appeal around: I’m aware that I might find the collaborator I’m looking for in the graphic novel world, games illustration, graphic design, or amongst recent art graduates. 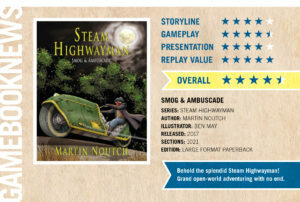 I can’t wait to get working on the look of the world of Steam Highwayman with you! So don’t hesitate to get in touch. If you’ve read this far but don’t think it’s not for you, you could really help me out by letting me know what doesn’t suit you and answering a brief question just here..